Coming in January, the bigwigs at Dicechucker Enterprises are throwing a bash in honor of 5 years of my life occasionally spent engaging in bloggomy. For the event, the Powers-That-Be have rented a real, live haunted house on an island in the middle of the St. Lawrence River. The island was once a fin de siecle summer resort for the wealthy, and is littered with gilded age mansions, but in the ensuing years it has become a disputed territory in the no-man's land between the US and Canada. The island is claimed by Quebec, Newfoundland, Vermont, and Rhode Island as well as the Akwesasne Nation: dual US-Canadian citizenship, documented Mohawk heritage, serviceable knowledge of French and/or Kanien'kéha language, snowmobiling experience, and ice-fishing skills may all be helpful in gaining access to the island. Wearing the appropriate hockey sweater may go far to sway reaction rolls in your favor; though Maple Leafs or Bruins jerseys are not advised. But, to the point: The island is littered with grand old houses that are obviously too haunted for anyone's good. 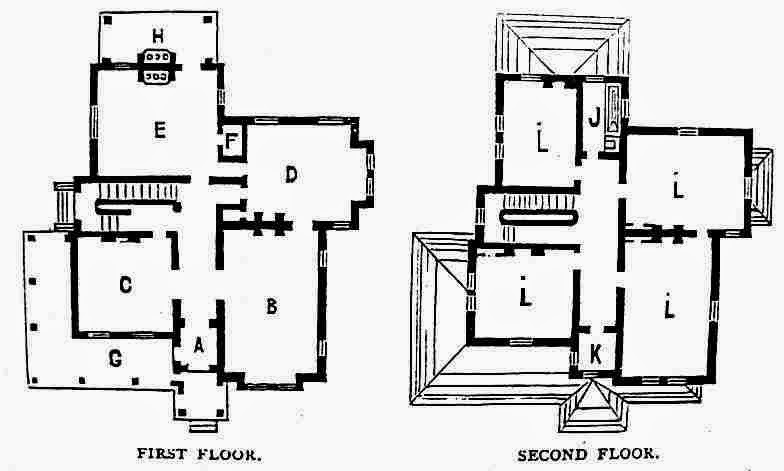 Attached is the floor plan, I'm looking for proposals to dungeonify this here haunted house. The top 5 entries will be granted directions to the island.